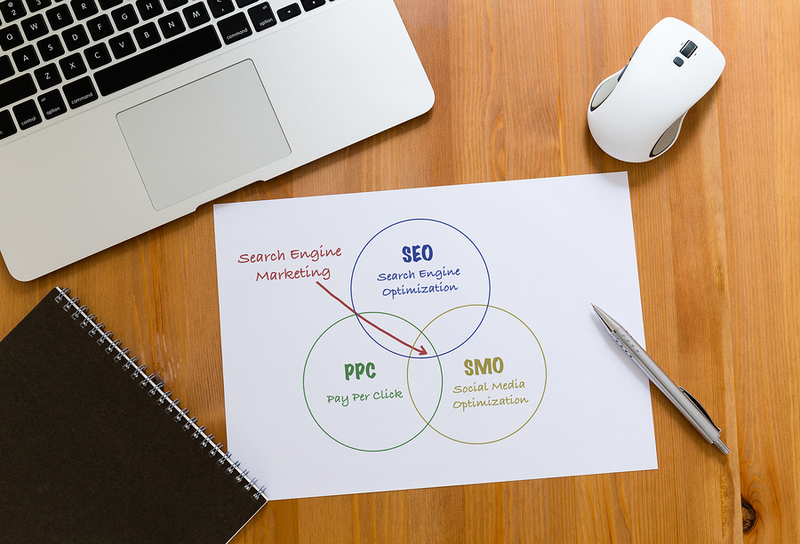 If you are seeking to maximize your online presence, search engine marketing (otherwise known as pay-per-click or PPC advertising) can serve as a valuable companion to your search engine optimization efforts. This form of advertising consists of bidding on certain keywords in order to win ad placement at the top or sides of search results. Because they are placed in prominent locations around the search results, these ads allow you to grab the attention of many potential customers. However, creating an effective search engine marketing campaign requires a thoughtful strategy and adherence to a few dos and don’ts. Since search engine marketing consists of bidding on keywords in order to get your ad placed with relevant search results, you will need to bid on the most relevant keywords for your business. The best way to choose these keywords is to conduct keyword research. In many ways, this research will be similar to that done for search engine optimization. For instance, you can use tools such as Google Analytics or SEM Rush to find out which keywords are already driving people to your site, and which ones might work best for your company. The Google AdWords Planner can also help you choose keywords. In addition, you should think through the search terms that your target audience might use when searching for products and services like yours. If you choose the right keywords, you can create a campaign that reaches people interested in what your business offers. There are two reasons for avoiding broad keywords. The first is that these keywords tend to come with high levels of competition. Because so many businesses deal with broad terms (such as “jewelry”), it is virtually impossible to succeed at a search engine marketing campaign that is focused on those terms. The second reason is that broad keywords are likely to attract high levels of irrelevant traffic to your site. For instance, many people looking for “jewelry” may not be interested in conflict-free diamond jewelry. This means that you will end up paying for numerous click throughs that do not convert into paying customers at your site. Instead, focus on specific, multi-word search terms that have a greater chance of attracting visitors interested in what your business has to offer. Geotargeting, also known as local PPC, is a search engine marketing tactic that limits the areas where your ad appears. For instance, if you geotarget Richmond, VA, your ads will appear to people within that area. For local businesses, geotargeting is an easy way to eliminate irrelevant traffic and, therefore, to maximize their budgets. For larger businesses, geotargeting can also save money by allowing you to adjust your bids based on how your ads perform and by allowing you to target specific regions within your larger area of influence. When geotargeting, there are a few things to keep in mind. The first is to set a radius around your target area to make sure your ads target the areas your business serves. The second is to specifically exclude areas your business does not serve. The third is to set AdWords to only show your ads to people in your target area and not to people who are searching for material related to your target area (i.e. you want to target people in Richmond, not people looking for information about Richmond). Don’t forget to create landing pages for your keywords. Your search engine marketing ad will drive people to your website. However, it is what they see once they get there that will determine whether or not they stay. If they encounter a landing page that does not match the search term that drove them there, they are not likely to stay, and you are not likely to make any money from the click through. As a result, each search term you use in your PPC (or SEO) campaign should link to a landing page specifically designed for that keyword. By doing so, you increase the chances that visitors will find your landing pages to be relevant and engaging. Your search engine marketing campaign should always include testing and tracking in order to determine exactly which ads, keywords, and ad/landing page combinations return the best results. Without this kind of careful tracking, you will not be able to maximize your budget for your campaign. While there are a number of ways to test your search engine marketing, one of the most basic and important is A/B testing. A/B testing involves creating two ads (or ad/landing page combinations), running them both, and seeing which one performs better. You then keep the ad that is performing the best and replace the other ad with a new ad. You then test these two ads together to see which one performs the best. Over time, you should be able to determine the optimal ads for each keyword you are targeting. Do stay on top of industry changes. Finally, search engine marketing, like search engine optimization and web design, is an ever-changing field. In order to succeed, you must stay on top of industry changes. The best way to do so is to hire a search engine marketing service that can lend you the skill and expertise you need to succeed with PPC. By hiring this company, while also conducting keyword research, avoiding broad keywords, engaging in geotargeting, and conducting A/B testing, you can maximize the performance of your next search engine marketing campaign.